New research could lead to improved flood forecasts in Gulf and midwestern states. 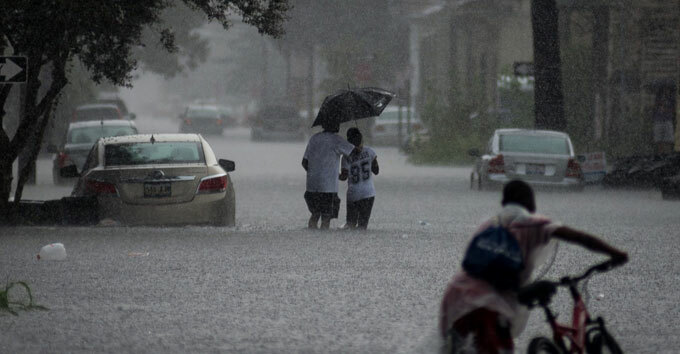 New Orleans is no stranger to downpours and flooded streets. But this year, residents found themselves even wetter than usual. 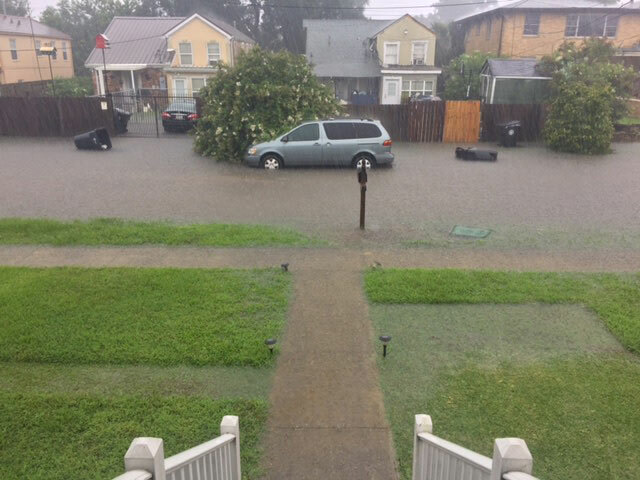 Brooke Perry’s home is in the Gentilly neighborhood, which stretches from below sea level to the shores of Lake Ponchartrain. On some days last spring, she said, flooding made it difficult to get to and from her job. The spring and summer of 2017 saw record-breaking precipitation totals across the Gulf. In April, Louisiana experienced 1.17 more inches of rainfall than normal. In May, 4.2 more inches fell on the state than is usual. Late spring through the end of the summer was the rainiest period on record in New Orleans since 1947. But new research could lead to better tools for predicting rainy seasons like the one in 2017. Raymond Schmitt, a physical oceanographer at Woods Hole Oceanographic Institution, studies surface salinity levels, a measure of the saltiness of the surface of the water, in the Atlantic Ocean. 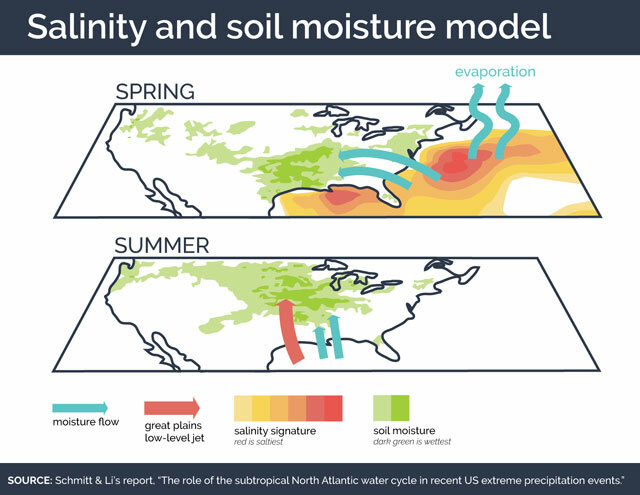 In one study, Schmitt analyzed the connection between ocean salinity and rainfall for major precipitation events in the southern U.S. in 2015. High sea-surface salinity, Schmitt explained, means that water has evaporated from the ocean and is in the atmosphere, ready to fall as rain. It’s a pattern that is intensified by climate change. A warmer atmosphere can hold more water, so as the climate warms, the air absorbs more water from the ocean, leaving a detectable signature. “Over the ocean, the salty region is getting saltier and the fresh region is getting fresher,” said Laifang Li, a Woods Hole scientist who collaborates with Schmitt. Li said the observed relationship between salty waters off the East Coast and rain in the Gulf is strong. The evaporated water from the ocean travels along the prevailing winds as moisture in the air, and it condenses into rain when that air reaches the Gulf states. Then, Li and Schmitt said, an even more interesting pattern emerges. Roughly three months after a period of high surface salinity and rain in the Gulf, states across the midwestern United States can expect more rainfall, too. In the spring and summer months, there’s a strong connection between weather in the Gulf region and weather in the Midwest, because of a river of air in the lower atmosphere known as the Great Plains low-level jet. It moves from south to north, bringing warm air and moisture to the Midwest. So after heavy spring rainfall dumps water into the soil of the Gulf, the jet helps carry that moisture up into the Midwest, where it falls as rain. Bryan Peake, a service climatologist at the Midwestern Regional Climate Center, said it’s typical for the Midwest to see heavy, early-season rains, because warm air is coming up from the Gulf and meeting the remnants of a cold, midwestern winter. Precipitation during the spring and summer months is important in the Midwest because much of the region is farmland. Schmitt said he hopes to develop his research into a forecasting tool that will enable better predictions of what to expect from spring and summer skies. His team recently received funding from the National Science Foundation to develop salinity-based prediction tools. Schimtt and Li’s research serves as a reminder that the climates of different regions are interconnected. As climate change continues to alter weather throughout the U.S., flooding in the Gulf is not something Midwesterners can ignore. Reported in partnership with ISeeChange.